Through the 21st Century Schools Initiative, Baltimore City Public Schools, in partnership with the Maryland Stadium Authority, Baltimore City, and the State of Maryland, will be investing nearly one billion dollars to renovate or replace schools over the next several years. The Department of Planning is conducting a planning program for the neighborhoods around each of the new or renovated schools. The program is called INSPIRE, which stands for Investing in Neighborhoods and Schools to Promote Improvement, Revitalization, and Excellence. The Department of Planning is launching a FREE six-week Planning Academy in Fall 2018 for community residents. The Baltimore Planning Academy is a six-week course that will cover in-depth the zoning and development process specific to Baltimore City. Apply by July 27, 2018! 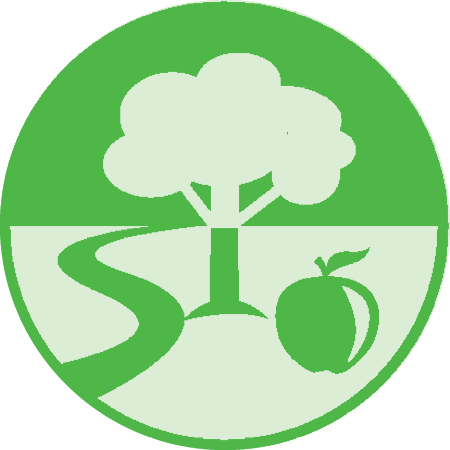 The Baltimore Food Policy Initiative (BFPI) is an inter-governmental collaboration with the Department of Planning, Baltimore Office of Sustainability, Baltimore Development Corporation, and the Baltimore City Health Department. The goal of BFPI is to increase access to healthy and affordable foods in Baltimore City food deserts. BFPI is doing this through a holistic and comprehensive food systems approach. In January 2016, Governor Larry Hogan and Mayor Stephanie Rawlings-Blake announced a four-year partnership between the Maryland Department of Housing and Community Development, the Maryland Stadium Authority, and the Baltimore City Department of Housing and Community Development to demolish thousands of vacant buildings to serve as the catalyst for redevelopment, reinvestment, and stabilization in Baltimore. Project Creating Opportunities for Renewal and Enterprise - or Project C.O.R.E. - is the name of this initiative. The Green Network Plan will be a collective vision for Baltimore to revitalize communities by creating an interconnected system of greenspaces throughout the city. The planning process will bring together City agencies, residents, neighborhood partners and Baltimore businesses to transform vacant properties into community assets such as recreation areas, trails, and urban gardens. By targeting resources towards areas of blight and underinvestment, the Plan will increase opportunity, create safe and healthy spaces, and support economic development. The final Plan will be a vision for vibrant green open spaces and corridors connecting the entire city and laying the foundation for the revitalization of some of Baltimore’s most challenged neighborhoods. Leveraging Investments in Neighborhood Corridors (LINCS) is an interagency partnership to revitalize key corridors that connect neighborhoods and communities throughout the City. The goal of this initiative is to enhance the aesthetics and economic vitality of these gateways, while seeking to improve quality of life and increase community capacity. To guide the City in making necessary physical improvements, the City Charter requires the Planning Commission to annually prepare a six-year recommended Capital Improvement Program (CIP). The six year Capital Improvement Program must be submitted to the Board of Estimates each year. Floodplain regulations in Baltimore were created to protect life, health, and property while minimizing need for rescue and relief, economic interruption, and damage to infrastructure. The State of Maryland Chesapeake Bay Critical Area Law establishes the Chesapeake Bay Critical Area Commission (CAC) and requires that the City of Baltimore and other jurisdictions prepare and adopt a Critical Area Management Program (CAMP) to: (1) Improve the water quality of the Bay by controlling pollution from stormwater runoff and; (2) To conserve and protect wildlife habitat along the shoreline of the Bay. Mayor Stephanie Rawlings-Blake officially launched the Growing Green Initiative on May 14, 2014. The Growing Green Initiative (GGI) is a City-led effort to use sustainable, innovative, and cost-effective practices for stabilizing and holding land for redevelopment, and reusing vacant land to green neighborhoods, reduce stormwater runoff, grow food, and create community spaces that mitigate the negative impacts of vacant properties and set the stage for growing Baltimore. The comprehensive Sustainable Community strategy aims to increase economic, transportation and housing choices as well as the quality of the local environment. The Council has three primary roles and missions (1) consultation on the expenditures of the local impact funds, (2) review of the Casino licensee’s master plan for the development of the Casino site, and (3) consultation on transportation planning. PCDA’s original purpose was to allocate Racetrack Impact Funds. Slots legislation gives PCDA an advisory role in determining funding allocations for slots revenue designated for the Park Heights Master Plan area and the surrounding neighborhoods (1 mile radius: Northwest Community Planning Forum SNAP, Liberty-Wabash area, and Coldspring Newton). The City is creating a Comprehensive Economic Development Strategy (CEDS) to help guide development over the next few years. The CEDS will provide a snapshot of where we are, a blueprint for where we can go and a proposed path to follow to further the growth of our economy. Transit Oriented Development (TOD) is a development approach that encourages intensifying and inter-mixing land uses (residential, office, retail, and entertainment) around transit stations, integrating public amenities (open spaces and landscaping), and improving the quality of walking and bicycling as alternatives to automobile travel.